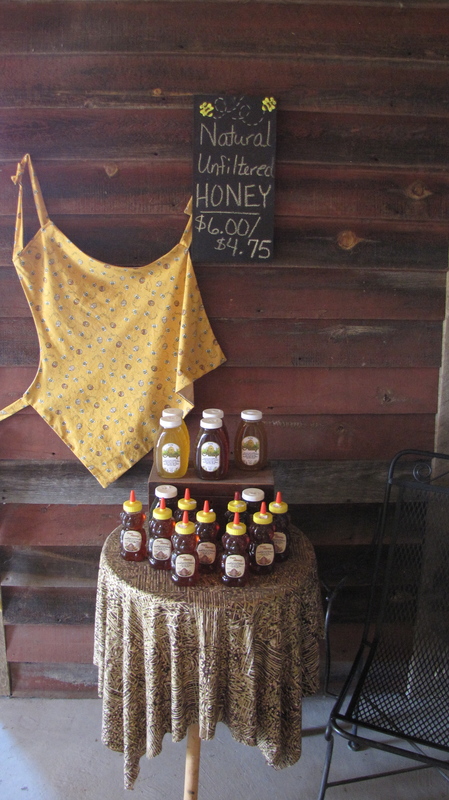 Beginning in March 2009, we began restoring the old barn where our farm market is based. Day 2: The rest of the roof comes off and work on the floor begins. 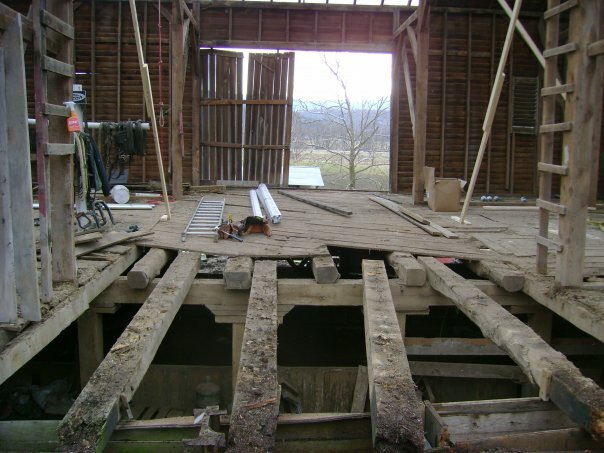 Four floor beams had to be replaced. 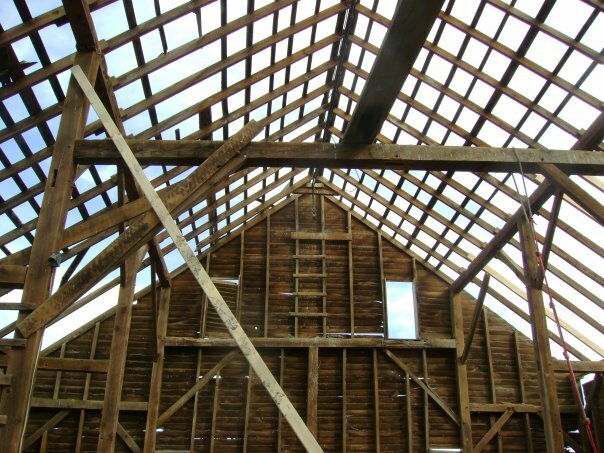 The new beams in place. 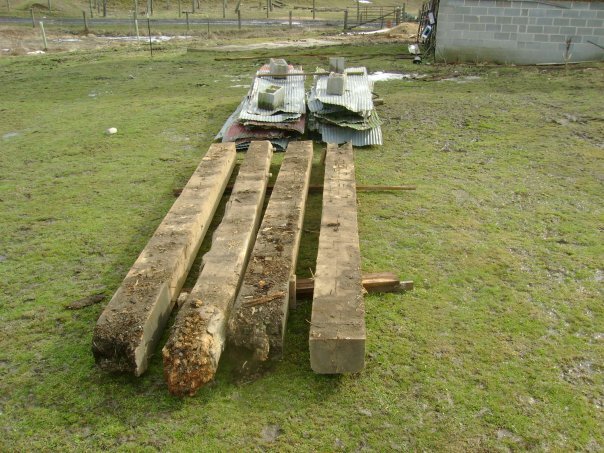 Old floor beam and roof material. 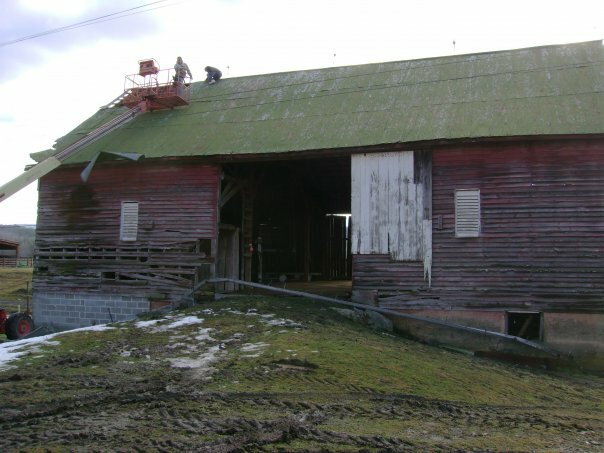 New roof support in place. 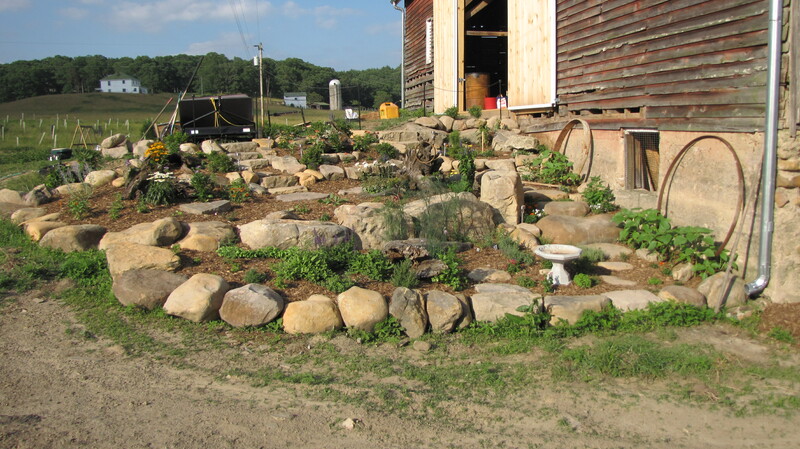 The rock garden Michelle and Sandy installed this past Spring. 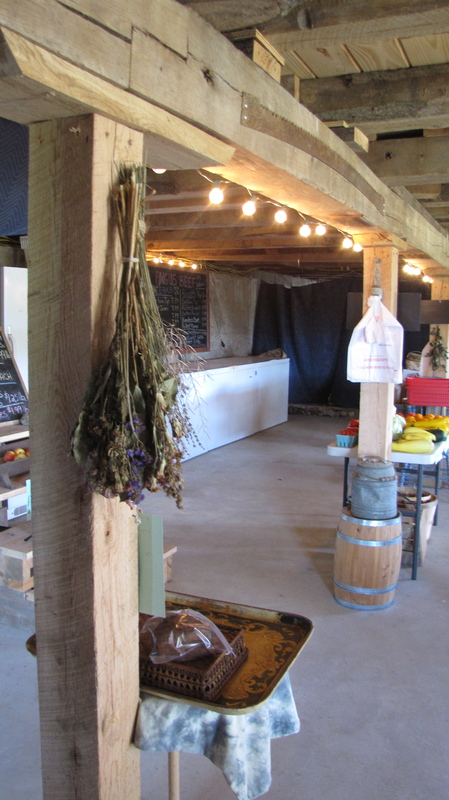 Notice the nice new barn doors, too! The roof, most of the flooring, and new doors are in place. Next up: replacing the siding. Future endeavors include installing a kitchen, bathroom, and massage facility for Aliza, our resident massage therapist. 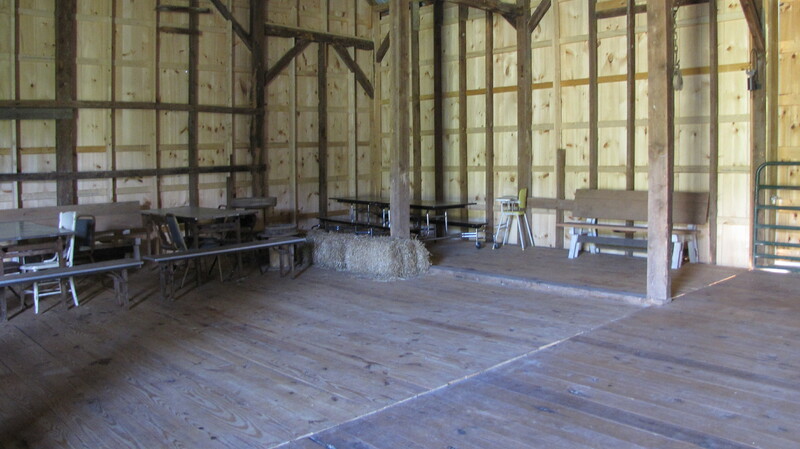 We hope to eventually rent out the barn for events like weddings and family reunions. 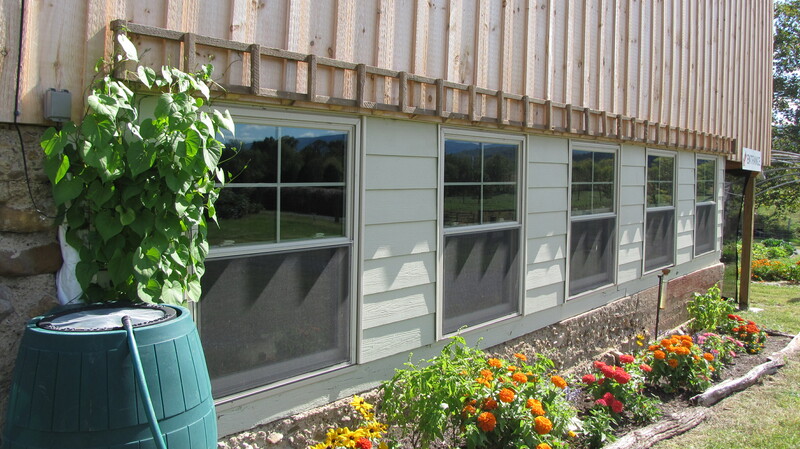 The siding was completely replaced and the seams covered with batten strips for weather proofing. 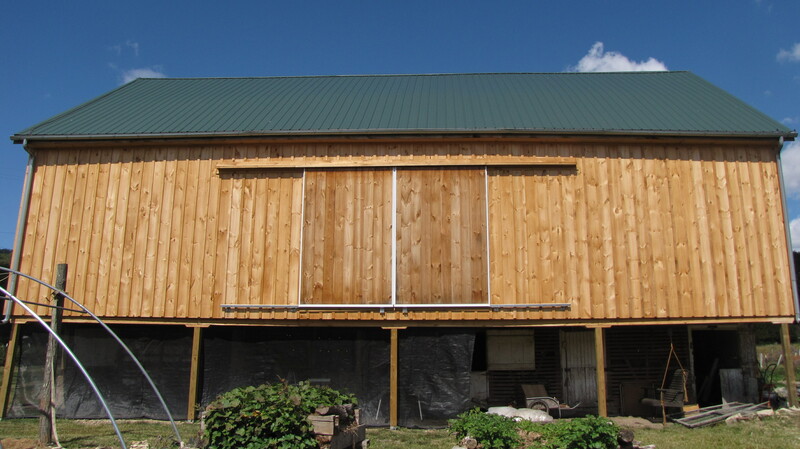 It is difficult to tell from this angle, but the side of the barn is slightly crooked from years of wind blowing against the front. The guys decided to keep it crooked (but stable), true to its nature. Michelle added a trellis for morning glories and other creeping flowers. 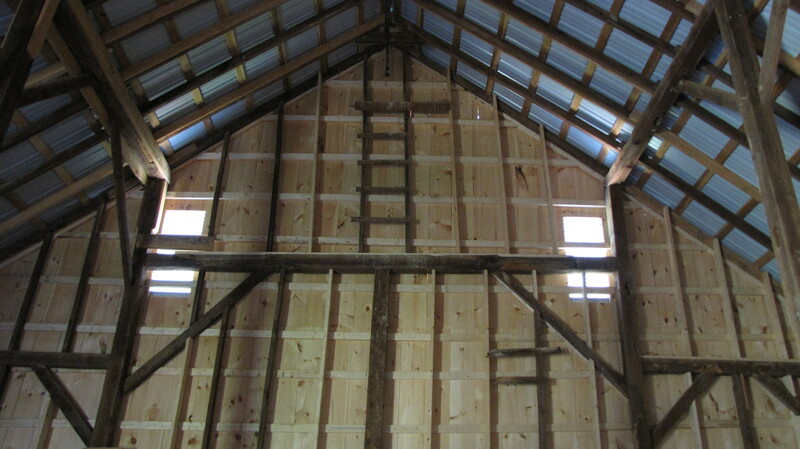 A view of the new siding from inside the second floor of the barn. Buddy replaced the floor and stained it with natural linseed oil. 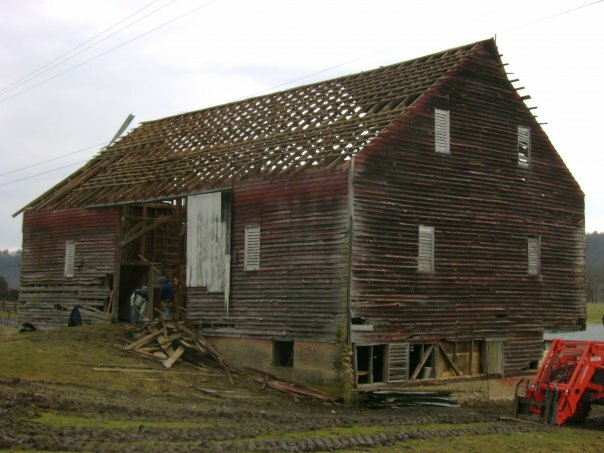 Several support beams on the first floor were also replaced. 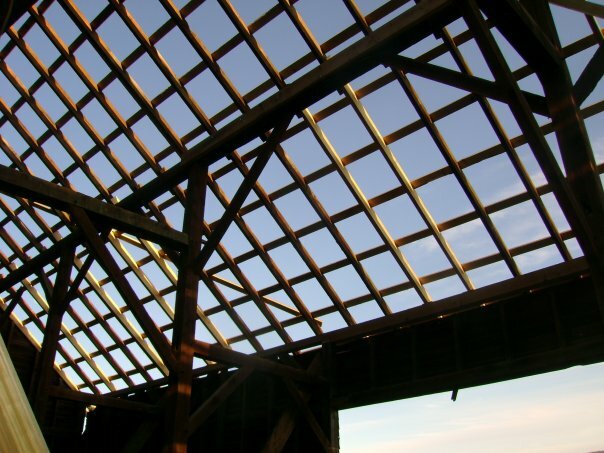 As much wood as possible was sourced locally. 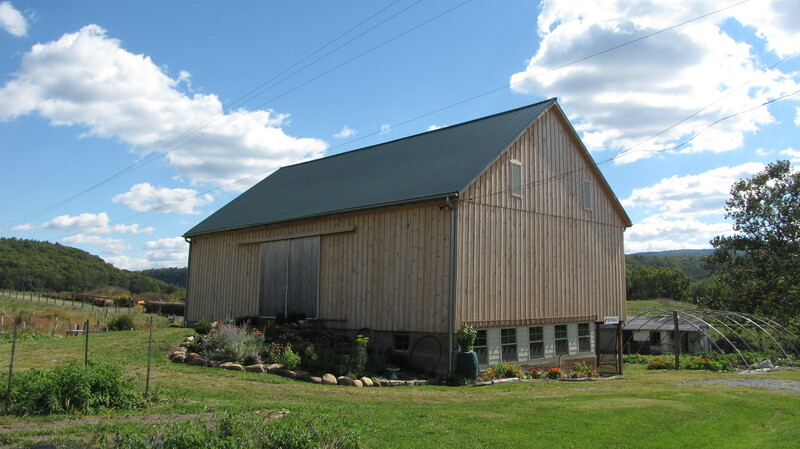 Michelle salvaged the original barn siding and used it to redo the walls on the first floor of the barn, where the farm market is located.